So rumor has it that Balenciaga will phase out (not sure if it will be permanently) and introduce the thimble-like hardware that we have adored so much since its 2007 debut. Maybe it's Balenciaga cutting corners to save money on production or maybe they've been trolling around the forums and are finally listening to some of us complain about the heaviness of the Giant Hardware. Nonetheless the Mini "Giant" Hardware will make its way into the Spring/Summer 2012 season. After the two preview pictures of the Mini "Giant" Hardware picture were posted on the Purse Forum by ChloeGlamour there has been mixed responses from Balenciaga fans. Some are really disappointed and believe that this hardware is just too small and similar to the Aged Brass Hardware (Classic style with tassels). Many also believe that the smaller hardware loses its special "bling" that the Giant Hardware boasts. Some are happy because the lighter weight of the new bags will be a refreshing change to the "bricks" they've been lugging around. 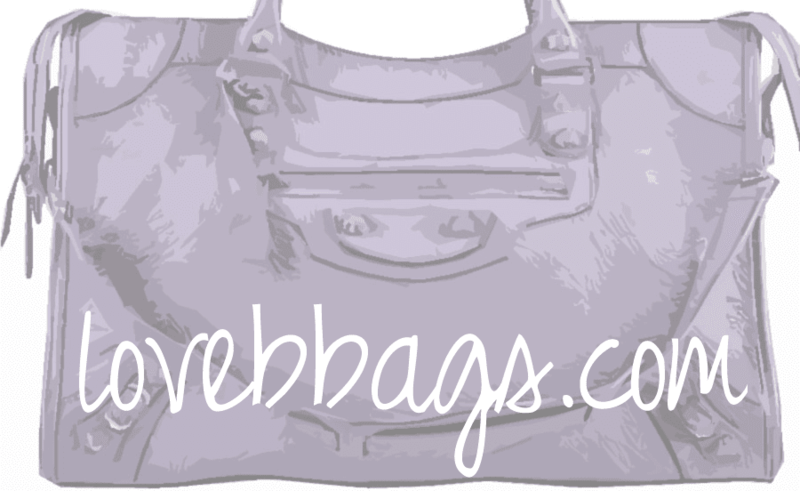 Some are even happy about the new bags because they can now enjoy the silver and rose gold hardware without the tassels. We've had mixed reviews when Rose Gold Hardware was first introduced but the majority have ended up loving it after seeing it in real life. When the Mini "Giant" Hardware bags start to trickle into the stores, we may have a change of heart and fall in love with this new style. So what can we anticipate about the new bags? What do you all think? Is the Mini "Giant" Hardware on your Spring shopping list?